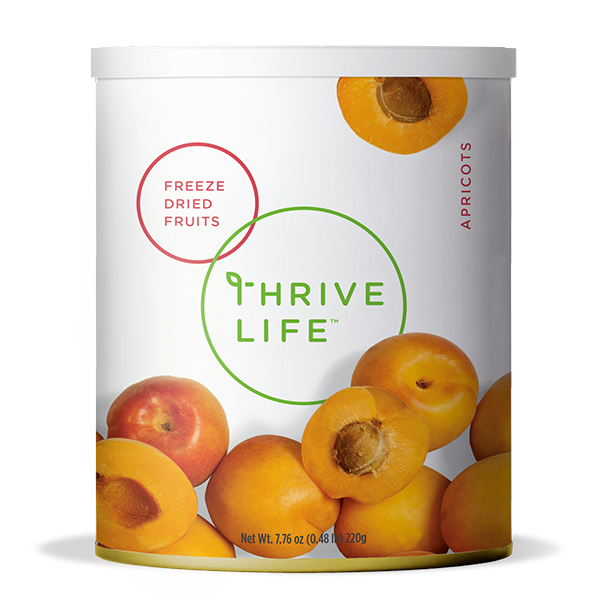 THRIVE® Apricots are freeze-dried into perfect bite-size pieces that are bursting with all the flavors of freshly ripened apricots. THRIVE® Apricots can be used to make many wonderful snacks, desserts, and even jams. By following the simple rehydration directions you can make fresh baby food, apricot preserves, or tempting apricot-filled cookies. Add 1⁄3 cup of water to 1 cup Apricots; let sit 5-10 minutes, stirring occasionally to coat every piece. These small chunks are perfect for preserves. Make irresistible thumbprint cookies by pressing your thumb into the top of shortbread cookies and adding a teaspoon of apricot preserves.